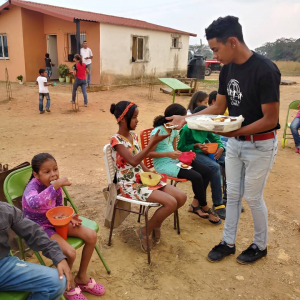 Charity United volunteers are now running several community centers for children in Venezuela. 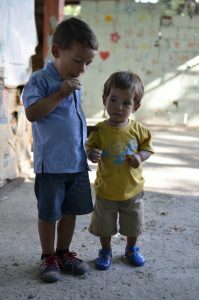 The children can come to a community center to receive food, soup, education, and even a safe place to play. Firefighters volunteer their time to act as security guards. Nutritious soup is given, and free classes are held for children. Below you will see photos taken by our volunteers on the ground. With a few exceptions, most photos of children are taken after the children have begun to receive help, and are of a better state of mind than when we first met them. This is because, when a child is already hungry and traumatized, having his photo taken can be a very unpleasant experience. We wait till kids are feeling better before we bring out the camera.